Review by AllTheBestFights.com: 2016-01-30, tough and entertaining fight: Ramon Alvarez vs James Winchester gets three stars. Ramon Alvarez (brother of Saul ‘Canelo’ Alvarez) entered this fight with a professional record of 22-4-2 (14 knockouts) and he is ranked as the No.18 super welterweight in the world while his opponent, James Winchester, has a record of 17-11-0 (6 knockouts). ‘Inocente’ Alvarez suffered his last loss in 2012 when he faced Mario Alberto Lozano, since then he has collected eight victories and one no-contest while Winchester won just one out of his last four bouts. 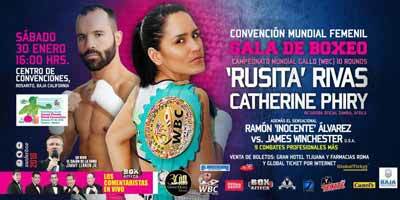 Alvarez vs Winchester is on the undercard of Yazmin Rivas vs Catherine Phiri. Watch the video and rate this fight!